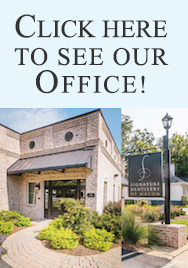 Signature Dentistry is a general and family dental practice dedicated to comfort and personal attention using proven techniques and technologies. Facing serious illness as a child, Dr. Amber Lawson spent her share of time in cold, sterile medical offices. Remembering back to those visits, she was determined to create a family dental practice that was different. 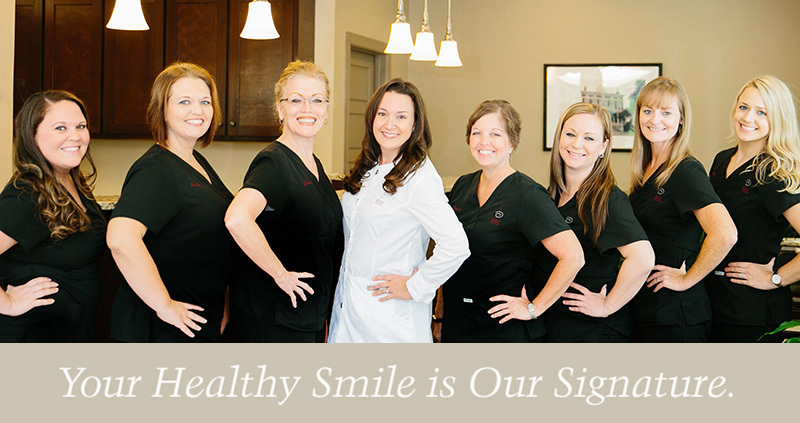 The result is Signature Dentistry of Macon, a warm and welcoming place where patients know they are truly cared for. Are you a patient with fear of the dentist? Dr. Lawson welcomes patients who may have had a bad experience in the past and are fearful or apprehensive about their dental care. She utilizes advanced techniques—including various forms of sedation dentistry—to provide compassionate, gentle care. Dr. Lawson also provides dental care for children. Signature Dentistry is located in the College Hill Corridor area of Macon, close to Mercer University. Signature Dentistry is proud to be serving its third generation of Macon families - patients who not only value receiving the absolute finest in dental care, but who also cherish being "part of the family." If you are visiting us for the first time, please print and complete the above forms, prior to your appointment. If you are a regular patient, please print and complete the Medical & Dental History Update (if necessary).